In the ’90s, racing was the most popular form of mountain biking, so suspension manufacturers tailored their products to racers. Companies such as Manitou and RockShox prioritized lightweight forks that gave racers the ultimate advantage; however, by the late ’90s, a new form of mountain biking was beginning to emerge; a form that required overbuilt suspension that could handle the abuse of a new breed of rider. Inspired by other action sports that praised athletes’ fearless abilities to go big, freeriding, a new iteration of mountain biking, was born. Freeriders changed the way we ride mountain bikes today by challenging themselves to ride gnarly features once believed to be unrideable. These riders demanded equipment that could hold up to their new style of riding—equipment that could be considered bomb-proof. In 1997, Marzocchi answered the call of freeriders by bucking all contemporary trends and borrowing inspiration from the motorcycle industry to develop the Bomber. The Bomber offered 4 inches of travel at a time when competitors were only offering 2–3 inches. The fork had a burly coil spring, oversized stanchions and an open-bath oil damper. It was plusher and more robust than anything else on the market. Fox Racing Shox entered the scene in 2001 and continued to push the evolution of suspension. Marzocchi soon fell behind the curve as its competition grew. Fox purchased Marzocchi in 2015, but plans of reviving the company were kept quiet—until now. Backed by Fox, Marzocchi has brought back its most iconic fork, first introduced over 20 years ago. 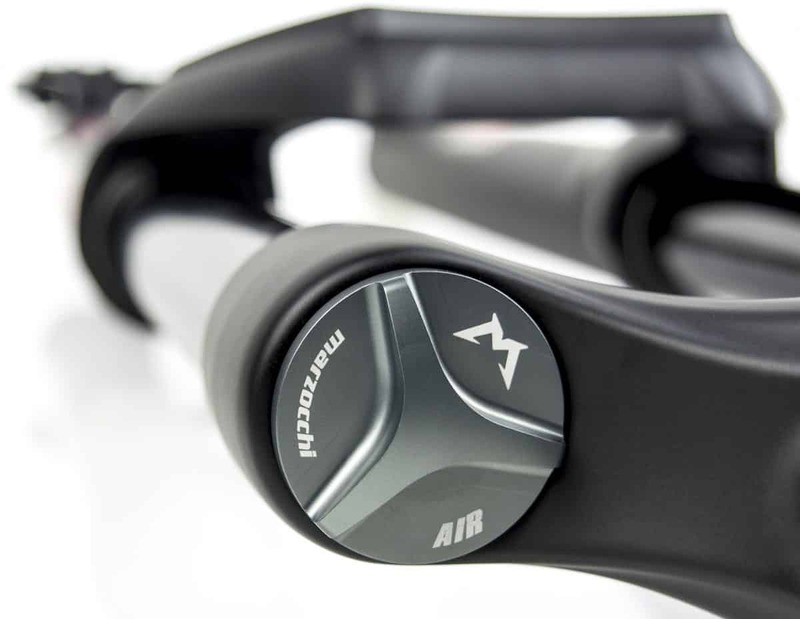 The all-new 2019 Marzocchi Bomber features technology from Fox and offers economical pricing. Here’s everything you need to know about the brand-new Bomber. Tech features: The 2019 Bomber Z1 builds off its heritage, offering big-mountain riders a robust fork with a large 36mm chassis and set-it-and-forget-it adjustments. The Bomber features an Evol air spring and a Grip Sweep damper, both borrowed from Fox. The chassis is constructed from 6000-series alloy, a material slightly heavier than the 7000-series alloy used in Fox’s Performance Elite and Factory forks. While the new Bomber is capable of running volume-reducer spacers, the spacers are not interchangeable with Fox forks due to the slightly thicker upper tubes. The Bomber screams “Marzocchi” with its classic M-shaped arch on the lower legs and can be purchased in an iconic gloss red or a subtle matte black. The Bomber offers 130–170mm of travel for 29/27.5+ wheels, while the 27.5-inch-wheeled model offers 150–180mm of travel. Both options are only available with Boost hub spacing. Two thru-axle options are available, with either a tooled axle or a quick-release axle. 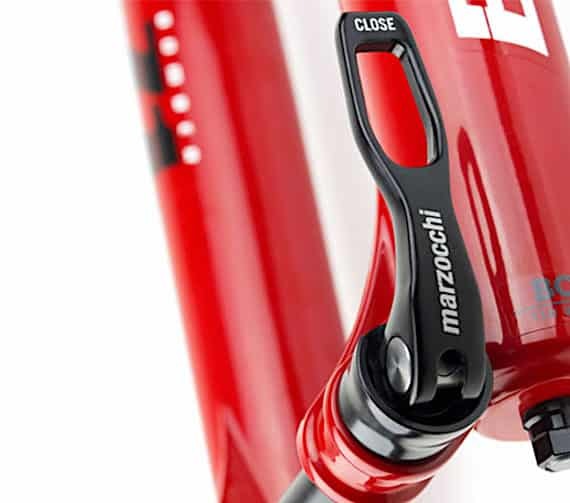 Marzocchi makes tuning the Bomber easy with a rebound knob on the lower right leg and a single compression knob up top. Independent low-speed compression was left out to reduce cost and give the fork a more user-friendly setup. Riders opting for a highly adjustable fork will want to move up to a Fox Performance- or Factory-series fork. That said, the all-new Bomber retails for just $700. With the steer tube cut to length for our test bike, the Bomber weighed 2180 grams. 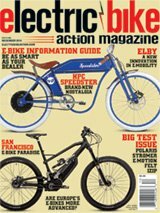 Field test results: We bolted the Bomber to one of our trusty test bikes, set the sag and headed to the trails. Following Marzocchi’s tuning guide, we opted for 15-percent sag on our 160mm-travel test fork. We continued to follow Marzocchi’s recommendations and adjusted our rebound nine clicks from the open position. With a nice base tune, we were ready to shred. The Bomber has a stiff chassis thanks to its slightly thicker 6000-series alloy upper tubes. This additional stiffness provides confidence when barreling down the trail. 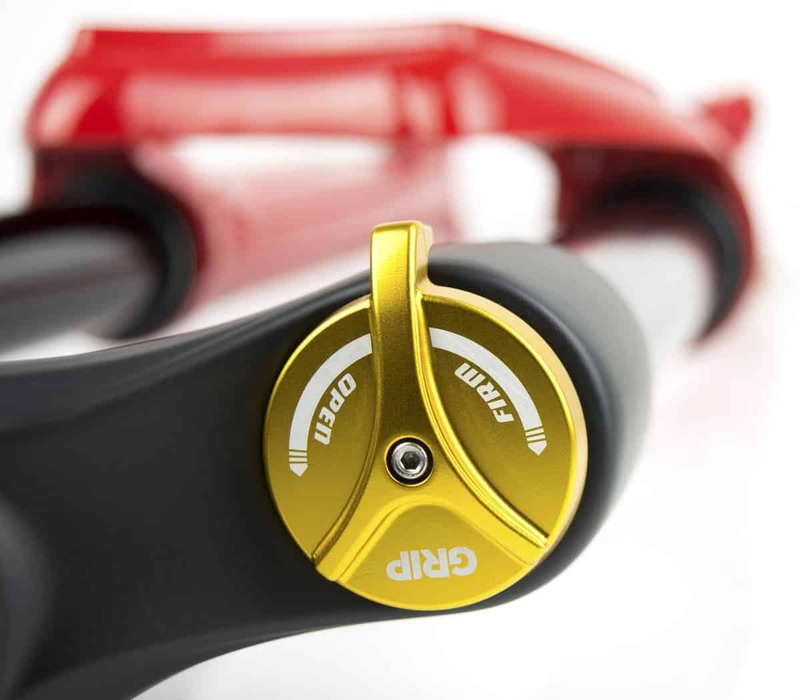 The Grip Sweep damper and Evol air spring offer a familiar feel that’s plush and performance-oriented. The Bomber rides high in its travel, giving riders a supported feel when pushing the front end hard, so we left our compression knob in the open position. Our fork came with two volume spacers, which gave us a progressive feel towards the end of the stroke. This bottomless feel was favored by our testers; however, we often found ourselves not using all of our fork’s travel. We remedied this by readjusting our sag to 20 percent for a plusher ride and adding two more clicks of rebound. With the additional sag, we found the need to add just a quarter turn of compression from the open position to provide us with a bit more support. Overall, the new Bomber is an excellent fork. It’s stiff; in fact, it’s stiffer than a Fox Float 36. The new Bomber may not be as tunable as a higher-end Fox fork, but it delivers great performance for less money. Riders who want the ultimate level of adjustability may want to steer away from the Bomber. That said, the aggressive freerider should have no problem bombing down local trails with Marzocchi’s all-new fork.